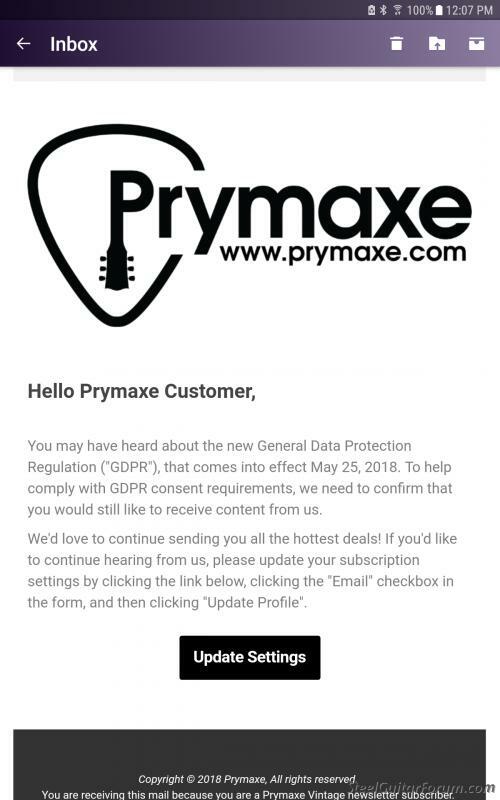 The General Data Protection Regulation ("GDPR"), that goes into effect May 25, 2018, is suppose to do what? Keep us from all the spam junk mail we all git? How do i sign up to be on that list? And what exactly is it suppose to do? The GDPR regulations force websites, domain registrars, web hosts, forum owners and online advertisers to protect the personally identifiable information of people viewing ads, buying domain names, joining email lists, joining and posting on forums, or creating websites and blogs. In a nutshell it says: "I have the right to online anonymity unless I specifically opt in to letting you share or post my personal details with third parties, or the public." The GDPR applies to any company that has personal information of EU residents or citizens or that conducts business in the EU, regardless of its home country. Data subjects have the right to be “forgotten, i.e., to have their data expunged, and may revoke consent at will. This regulation is enforceable with huge fines and shutdown notices. This law goes into affect in Europe on May 25 and affects all companies or individuals who do business with residents of the EU signatories, whether those people are citizens or not. These regulations will also impact the ICANN Domain Name Registry which is based in Europe and manages the world wide domain registration Whois service. You cannot sign up to be on any GDPR list affecting .EU residents unless you live in a .EU country. OH...OK, the reason i asked is because i am getting a few of these notices and i had no idea what they were. If you already subscribe to this website, re-authorize them to send you email. If not, ignore it and they should go away (in theory). From your wording it appears you are not knowingly their customer. The email you displayed appears to be from a guitar oriented business. The GDPR Regulations only affect legitimate concerns, not cybercriminals or spammers. Still, spammers could use this as a ruse to get unsuspecting recipients to opt into receiving junk mail. In the case of legitimate companies requesting people to update their email preferences in accordance with the GDPR, failing to opt in will result in them stopping their messages/newsletters/updates to you. Thank you Wiz for the education. At least now i know what it is. I've never heard of this outfit before, and seldom if ever buy from online music box shops. I try to stay in our own steel guitar community. Last dealer i purchased from was Gary Sills. I blocked the whole mess. Thank you again Wiz. And from what I understand, it does not apply within the USA. So why am I getting 5 or 6 notices about this from all kinds of companies and websites every day? It does affect US companies who sell goods or provide services to .EU customers and vise versa. If a european based company has clients in the USA they have to offer them the same protection.